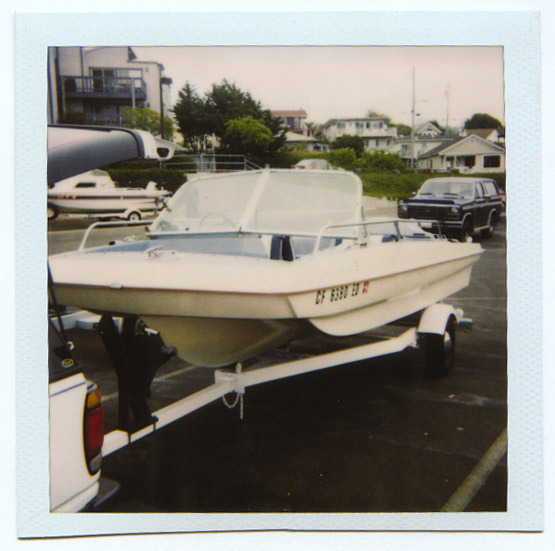 Some of you might recognize this boat. "Evi" was originally purchased by Barry Parker's father and registered in Northern California in 1967. 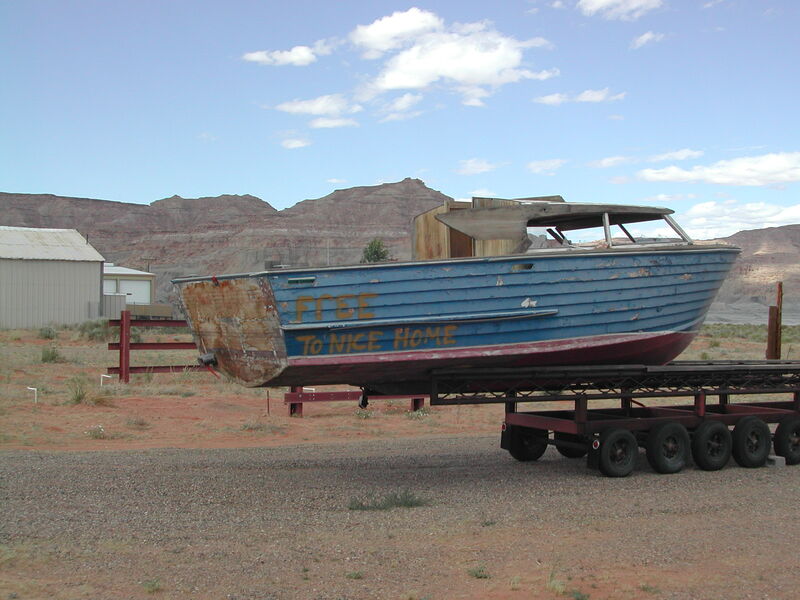 Barry has many fond family memories of running the boat in the Bay Area, as well as taking the boat to Southern Utah's Lake Powell. 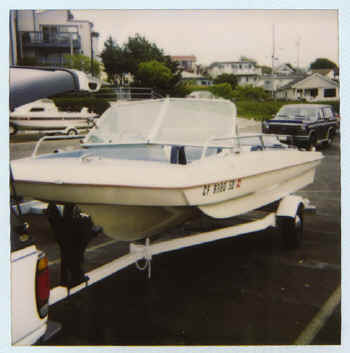 As a prized member of the Parker family, the boat passed to Barry's uncle before coming into his possession a few years ago. Fast forward to Fall 2003. I met Barry Parker, in October 2003, on Phil Bunde's OMC-BOATS Mailing List. I introduced myself to the list looking for an Evinrude project boat. Barry responded by e-mail offering "Evi" to a "nice" home. I could hardly believe his generosity! A two-day, 1500-mile, roundtrip was made in March to tow "Evi" from Half Moon Bay, across the Sierra Nevadas to her new family home in Salt Lake City. A special "Thanks" to Barry and Phil for all you've done. 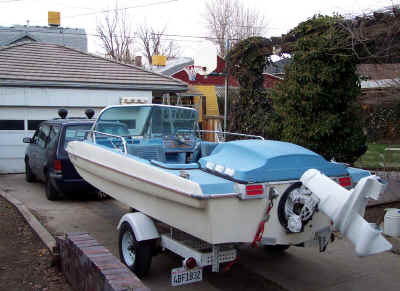 Someday, I hope to handover the keys to my son or daughters, extending it's timeless Brooks Stevens' styling and Richard Cole's patented (yes, even before Boston Whaler's) gull wing hull design to yet another generation. 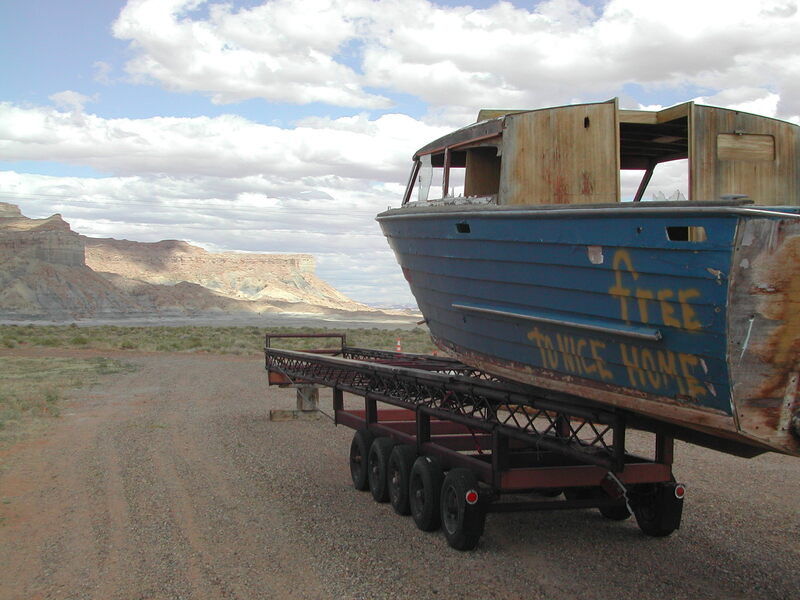 Here's another "free" boat looking for a "nice" home!